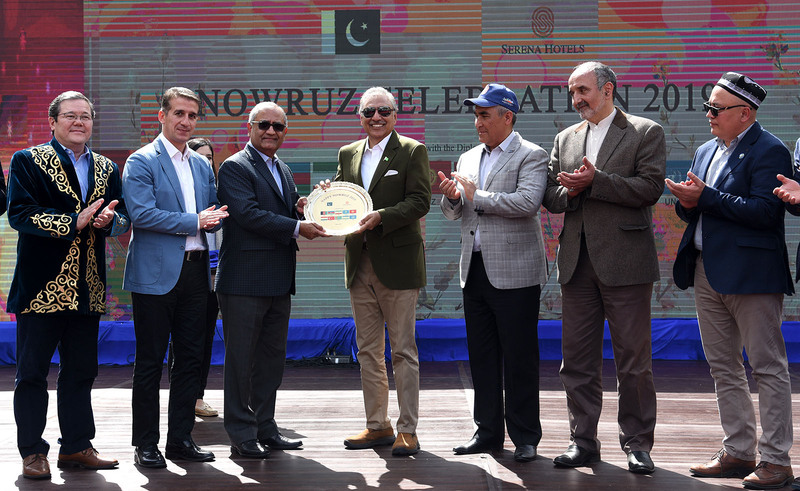 ISLAMABAD, MAR 24(DNA) –The Central Asian countries embassies along with embassies of Azerbaijan, Turkey, Afghanistan and Iran joined hands to celebrate Nowruz festival at the lush green lawns of Serena Business Complex. These countries established there stalls where they put on display various items depicting the culture of the respective country. Besides, a variety of food stuff was also made available on these stalls. The Central Asian pilaf (pullao) available almost on all stalls of Central Asian states became a must-eat dish. Pakistani visitors especially took a great interest in this kind of pullao and enjoyed the tasty Central Asian delicacy to the full. 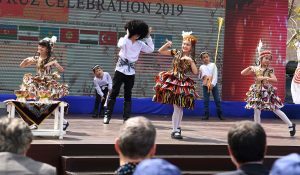 Likewise, pieces of art exhibited by embassies of Azerbaijan, Kazakhstan, Uzbekistan, Kyrgyzstan and Tajikistan also attracted huge attention of the visitors. Pakistani visitors not only evinced keen interest in these items but also bought many of them. Turkish Shawarma was perhaps the most-sought after delicacy. Albeit, price, for some, was on a higher side, even then people flocked to the stall to taste this unique Turkish delicacy. Shawarma is a Middle Eastern meat preparation based on the döner kebab of Ottoman Turkey. Originally made of lamb or mutton, today’s shawarma may also be chicken, turkey, beef, or veal, cut in thin slices and stacked in a cone-like shape on a vertical rotisserie. Iran and Afghanistan stalls too had a lot to offer to visitors. The UN too established a stall on the venue. 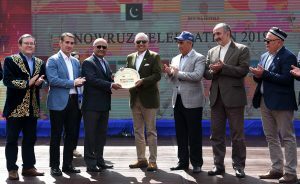 International Nowruz Day was proclaimed by the United Nations General Assembly, in 2010, at the initiative of several countries that share this holiday (Afghanistan, Albania, Azerbaijan, the Former Yugoslav Republic of Macedonia, India, Iran Kazakhstan, Kyrgyzstan, Tajikistan, Turkey and Turkmenistan. Inscribed in 2009 on the Representative List of the Intangible Cultural Heritage of Humanity as a cultural tradition observed by numerous peoples, Nowruz is an ancestral festivity marking the first day of spring and the renewal of nature. It promotes values of peace and solidarity between generations and within families as well as reconciliation and neighborliness, thus contributing to cultural diversity and friendship among peoples and different communities. Azerbaijan is not a Central Asian country however it also takes part in the Nowruz celebrations. In Azerbaijan Nowruz is celebrated as coming of spring season. President of Pakistan Arif Aliv who graced the occasion as the chief guest, congratulated the member countries for hosting such an impressive event. The President also went to each and every stall; mixed up with the people and got information about various aspects of life style of the respective country. The President while speaking on the occasion said, he was greatly touched by cultural performances of children. “It is always a pleasure to see children clad in beautiful dresses of their respective countries and presenting some extra ordinary cultural performance adding such performances in fact add true color to Nowruz festivities”. 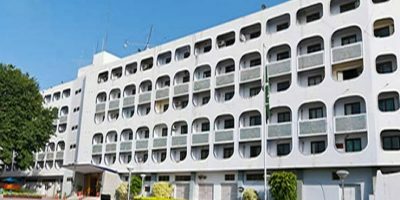 The President congratulated all the participating countries and providing people of Islamabad with an opportunity of having first hand information about various delicacies of these countries. President Arif Alvi said Pakistan genuinely wants peace in the region and elsewhere adding Islamabad will continue playing its role towards this end. Pakistan he said is on the threshold of change hoping we will have good relations with all our neighbors including Iran and Afghanistan. He said Pakistan has successfully defeated terrorism and extremism adding it is now ideal place for foreigners to come and invest. The President said he took up the Islamophobia issue with the Prime Minister of Malaysia Mahathir Mohammad and proposed that the issue may be highlighted at all forums. 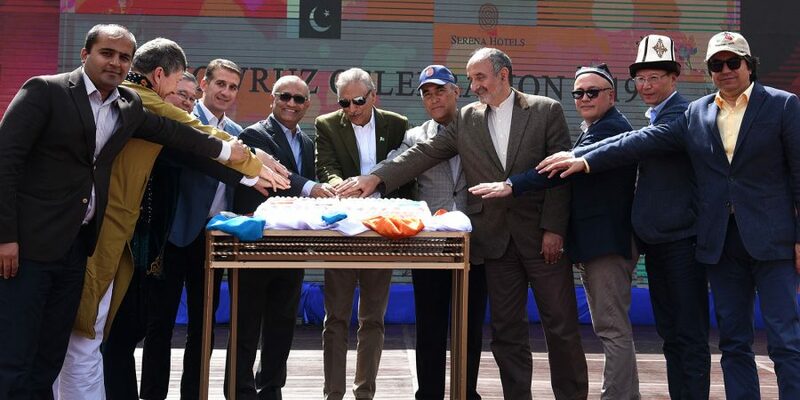 CEO Serena Hotels South and Central Asia, Aziz Boolani who also spoke on the occasion thanked the guests for taking part in this event in large numbers. 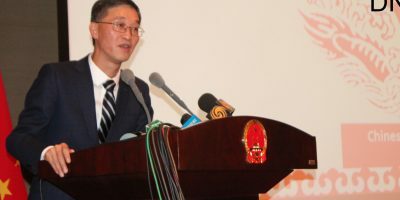 He said Serena Hotels, under its Cultural Diplomacy initiative, would continue to holding such events even in the prospect.